We constantly read that the flying car is just two years away. In fact, we've been hearing this for decades. So who's promising one this week? A little company called AeroMobil, whose CEO made a big splash at South by Southwest with his announcement of a release by 2017. But if the AeroMobil flying car is released in the U.S. within the next two years I will literally eat the sun. Flying cars are hard. We've actually had some version of them since the 1950s, but they never look like ones that we were promised in shows like The Jetsons and movies like Blade Runner. And the AeroMobil is no different. It's impractical, and even though it flies (unlike many other flying cars of the last 50 years) there are plenty of other hurdles before this thing can be sold in the U.S. — like that pesky FAA approval. 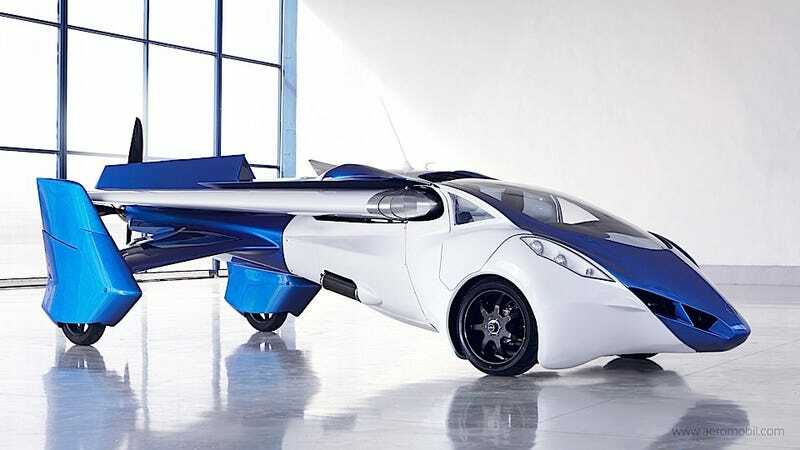 Even flying car companies that have gotten FAA approval, like Terrafugia in 2010, still haven't delivered on their cars. They always seem to be "just two years away." You may be asking yourself, how does one eat the sun? To be honest, I don't have a great plan of action yet. One imagines that you'd have to break the sun up into many smaller pieces to even begin eating it, but then there's the problem of what tool to use to break it up. Any common knife seems like it might do, but having never attempted to eat the sun, I just can't say for sure. Worst case scenario: I guess we can pick up a machete at Walmart. There's also the problem of getting to the sun. Or, better yet, bringing the sun to me. A common lasso seems impractical, if only because I don't know how to tie one. But I guess that's what instructional YouTube videos are for. Please check back in 2017, where we'll either be living in a wondrous world of ubiquitous flying cars, or you will be watching me devour the sun like it's literally my job.